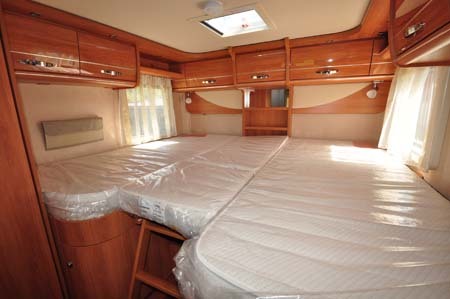 Over £100,000 for a motorhome? Can we be serious? Believe it or not, despite all of the general economic pressures there’s still a buoyant – albeit small – sector of the market that offers an incredible amount of choice. But, here’s one vehicle that should be on everyone’s shopping list. It’s an A-class, of course, and it’s from a manufacturer best known for producing such vehicles. 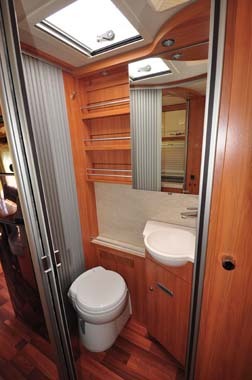 Indeed, it can claim to be the founding father of this type of motorhome. Hymer produced its first A-class motorhome back in 1961. It’s hardly had time to look back since. Today, there’s a powerful line-up of such vehicles, but it’s the StarLine series that starts off on Mercedes’ chassis. And it’s the two-model S range that goes on to add extra equipment that would total well over £20,000 if bought individually. It’s all-German, then, with Hymer’s bodywork and fitting out all taking place at its main manufacturing plant in southern Germany. And few will argue with the quality of the finished article. 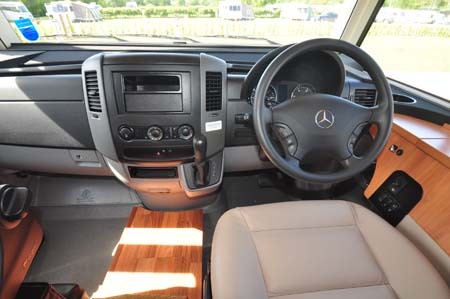 The ride may be a bit on the soft side (plenty prefer it that way), but in this format – 190bhp V6 engine with super-smooth automatic transmission, driving the twin rear wheels – it’s a superb configuration that’s more than worthy of a premium class of motorhome. 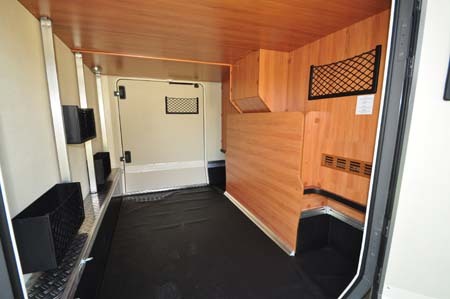 Inside, there’s a floorplan that’s emerged as the most popular for such a vehicle – twin rear single beds in a setting where you can section it off from the rest of the living quarters and still give yourself full en suite facilities in the form of a separate toilet room and shower. It’s a kitchen that should keep even the most fastidious of UK chefs happy, too. There’s a decent amount of worktop for the stylish three-ring hob and sink, while – opposite – Dometic’s TecTower fridge/freezer/oven/grill stack system brings the specification up to our expectations. Storage is superb, too. Meanwhile, the lounge strikes the right balance between space, suitable tabletop area (when needed) and room to sprawl out just a bit. Indeed, one of the key features here is the electrical operation of the swivelled cab seats to bring them up to exactly the same height as the settees here. And that equipment? 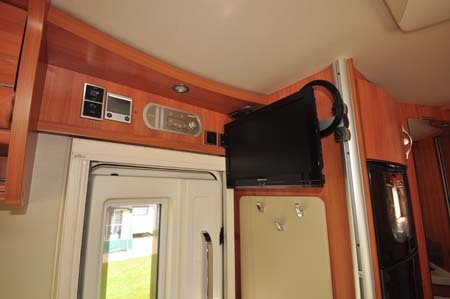 Look it all up for yourself, there’s simply too much to list here, suffice to say it brings it all up into the absolute luxury stratum with features like Alde heating including heat exchangers, insulated cab window glass plus electric front blind, inverter, twin leisure batteries, TV system, additional interior lighting etc. That metallic grey exterior finish is also a defining part of the S package. There’s plenty of room for more, too, thanks to a 1,200kg payload that includes a generous 350kg maximum for the garage. 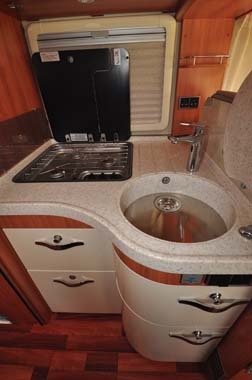 Other quality indicators range from the kitchen worktop to the ceramic-bowl toilet to the extending table in the lounge complete with a solid wood edging to it. There’s another massive factor in Hymer’s favour these days. The company has had the pick of the UK market as far as dealers are concerned. There’s some eight of them now throughout England and Scotland, all offering a superior service. 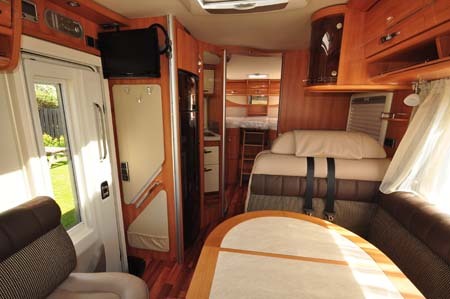 Which is surely exactly how it should be for what might just be the most sought after motorhome brand these days. 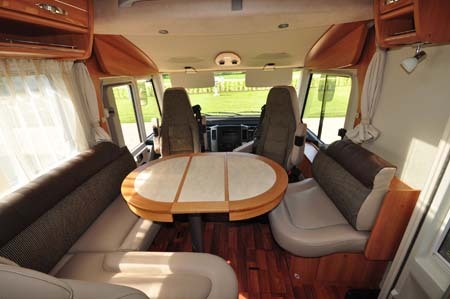 This looks like a wonderful motorhome, as we are thinking of changing ours we are going to look at one. 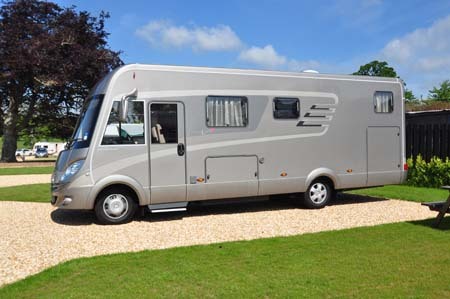 We are already insured with Caravan guard, but what happens if with the extras it costs over 150 thousand who would insure it and give us breakdown cover. We would still be able to cover it. 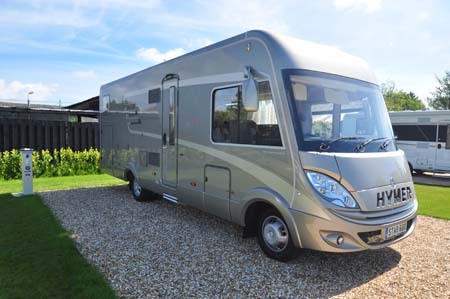 We do however ask that motorhomes valued at over £80,000 are fitted with an approved pro-active tracking system and a Thatcham Category 1 alarm. The breakdown cover wouldn’t be affected. The Hymer Starline is really lovely, but you would have thought that a roll out awning would come as standard, especially at that price. That’s a bit disappointing. Otherwise a great van. I have a HymerB634 and aspire to the new S B 680 would love one they are so reliable and comfortable I should know I have lived in mine for 6 years full time. ( just cannot afford one. Beautiful, but why? Cost is clearly an issue. Insurance detail seems very restrictive with a limit of 5000 miles a year, so why bother with the luxury that can hardly be used! Will stick with my 2007 model and tour every month with money in my pocket to spend at will.